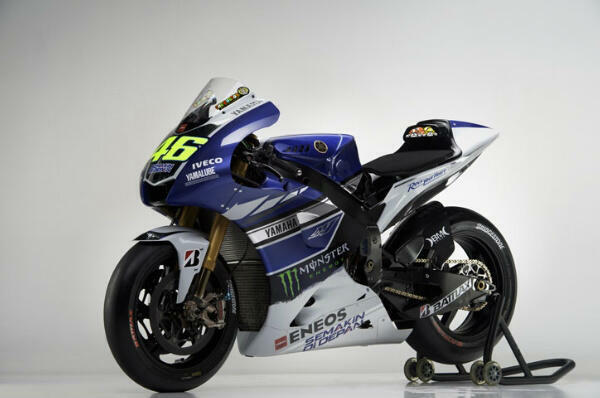 The YamahaMotoGP team have today revealed in Jerez, the livery that Valentino Rossi and reigning champ Jorge Lorenzo will be running for the 2013 season. As expected the main colours have remained a blue and white, in with a mixture of grey and a rather shiny silver strip, somewhat reminiscent of the 2011 season livery. Most noticeably of all are the number plates on the front, a mirror effect… think of your own hilarious reasons why they included that! Given the sustained sponsorship from Eneos energy co., the belly pan of the M1 is roughly the same as last year. Also, just above that is the famed Monster Energy logo on the side, which is slightly smaller than expected, especially when you look up many of the rumoured liveries floating about on social media websites. To sum it up, the designers have mixed up the 2011 and 2012 M1’s, with a twist or two in the process; namely a shiny silver stripe. In our humble opinion, the livery is a nice addition to the grid as always, though it is hardly a massive variation, compared with the Repsol livery that was released last month. 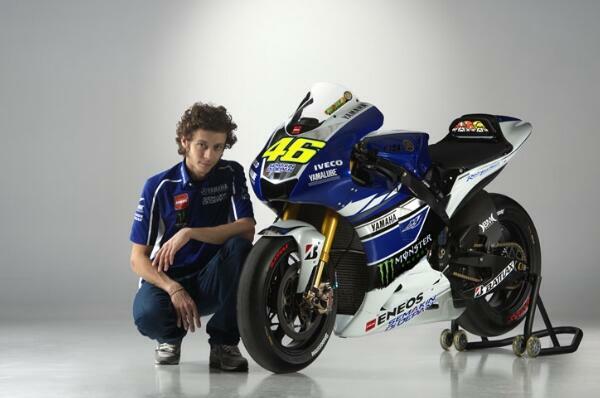 2013 sees Rossi returning to his ‘beloved’ Yamaha, looking to put in a serious bid for the title after 2 utterly dismal years at Ducati. The two official IRTA tests from Sepang, and indeed the private test between HRC and Yamaha in Austin’s CoTA, have shown that the Italian still has it. Whilst finishing consistently at the top end of the leader boards, Rossi has been sat behind the likes of his double MotoGP champion team mate, Jorge Lorenzo, Pedrosa-the bridesmaid and young protégé, Marc Márquez; this will be his toughest championship fight yet, with Yamaha. Lorenzo teetering between first and second at the Sepang tests, ‘battling’ so to speak, with compatriot, Dani Pedrosa. 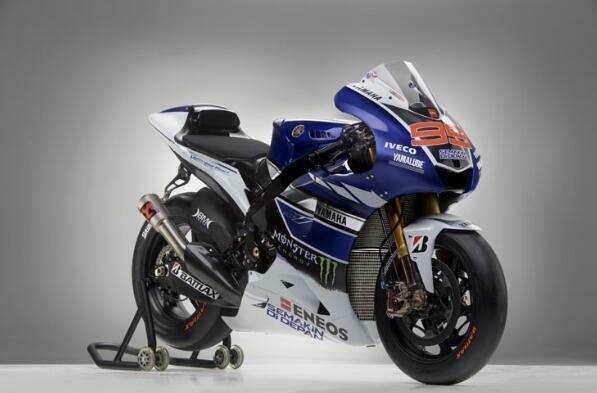 Jorge will be in effect, the ‘number one rider’ in the Yamaha camp, despite Rossi’s return to the manufacturer. Will we see a blossoming friendship between the 2 riders, or will sparks fly once again in the YamahaMotoGP team? Testing from Jerez begins tomorrow, until the 25th of March. Next Next post: Samsung Honda’s Jason O’Halloran "I’m ready for the fight"